This is a good book for readers who are ready to move beyond the beginning reader books, but who feel a little intimidated by longer chapter books. Keeker is an eight-year-old girl who desperately wants a pony. She has taken riding lessons, been to riding camp, and read books on horse care. But, she thinks she'll never get a pony of her own. Plum is a Shetland pony who loves to eat and gallop around. She is a little bit sneaky. And, she doesn't think about girls. When Keeker's parents buy Plum and bring her home, Keeker and Plum don't hit it off right away. "My OWN pony," thought Keeker. "I love her already." "Whose girl is this?" thought Plum. Keeker waits while Plum gets comfortable in her new home. Finally the day comes when Keeker can ride Plum. They have an adventure that involves sneaky pony antics, a forest, ferns, and a bunch of blackberries - and ends with Keeker and Plum becoming friends. "I'm glad I got a girl," thought Plum as she burbled away. "With a little more training, she'll be just right." The text is easy to read, with illustrations on almost every page. There are three pages of Pony Facts at the end of the book - written in a simple, friendly style. 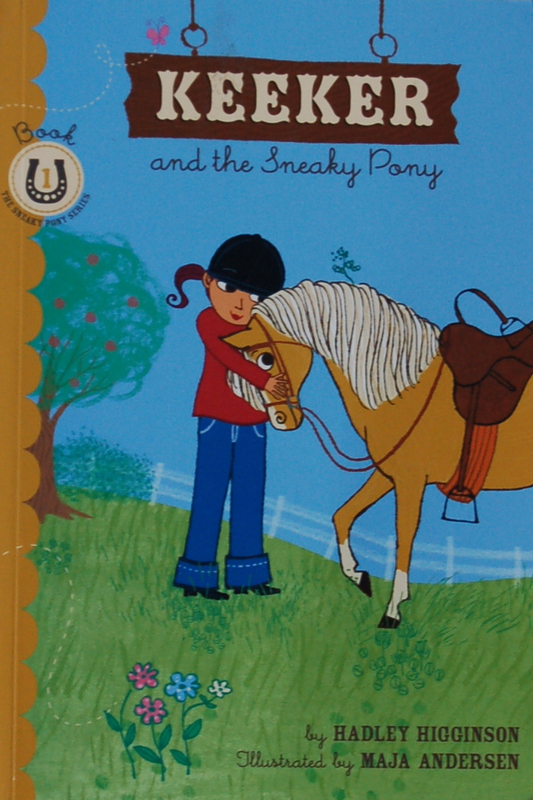 This is the first book in the Sneaky Pony series. Lovely–putting this on the recall list at the library for my horse-obsessed daughter. My daughter also enjoyed the Big Apple Barn books. Happy’s Big Plan by Kristin Earhart is a good one to try. 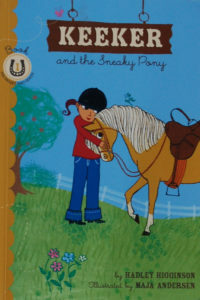 It is a sweet story about a pony and a girl, and life in a riding school stable. A perfect book for my daughter. I will borrow one from the library for her. Thanks for the recommendation. :).